What would we do for food in the event of a global disaster, such as climate change or nuclear war? Well that’s where the Svalbard Global Seed Vault, otherwise known as the Doomsday Vault, comes in. It’s a kind of International Rescue for the world’s food supply. Deep inside a mountain on the Arctic archipelago of Svalbard, in Norway, the vault stores seeds from more than 60 institutions and almost every country in the world. The idea is to ensure the survival of the world’s most precious plants and to preserve diversity. Svalbard is the northernmost place in the world that still has scheduled flights, says The Crop Trust, the group in charge of the global seed bank system. At more than 400 metres above sea level, there is little moisture in the air. And the vault is buried in permafrost, which means it could stay frozen for 200 years in the event of a power cut. Since its 2008 opening, 860,000 samples of 4,000 different plant species from around the world have been deposited. And it has already served its purpose, in 2015, Syrian researchers retrieved their deposit from the vault so they could move and restore their seed bank, which had been damaged by war. In here, no country is excluded, despite international tension, even North Korea has a deposit. The vault is only unlocked for deposits, which happen three or four times a year. And security is paramount. There are five doors with coded locks that anyone looking to get into the vault has to pass through. 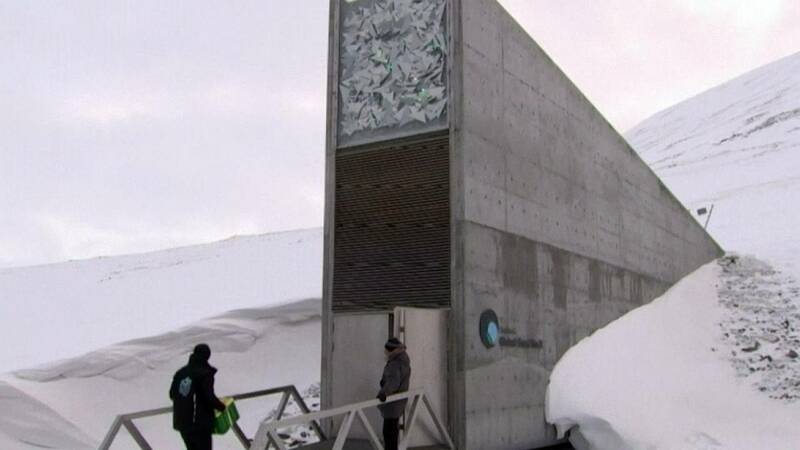 While security is important, Bente Naeverdal, manager of the Global Seed Vault, says crime is not really prolific in this part of the world: “We have all this alarm if someone is trying to break in or something, but that has never happened. Besides, the Crop Trust says that polar bears – which outnumber humans on the island – provide an extra “layer of security”. The caretakers consider the successful retrieval of Syrian seeds as proof that the project of protecting the world’s food crop heritage, in a remote location – is functioning as intended.